This post is sponsored by Welch’s® Fruit Rolls. I am being compensated for this post. All comments are opinions are my own. If you’re traveling with a picky eater in the not-so-distant future and feel worried your little one won’t eat while you’re away from home, you’ve come to the right place. While the idea of packing up the kids for a well-deserved family vacation may be an exciting, enjoyable, and stress-free experience for some parents, it can feel impossible for parents with children who only eat a handful of foods, particularly if their travels will be taking them somewhere without access to a kitchen or supermarket. 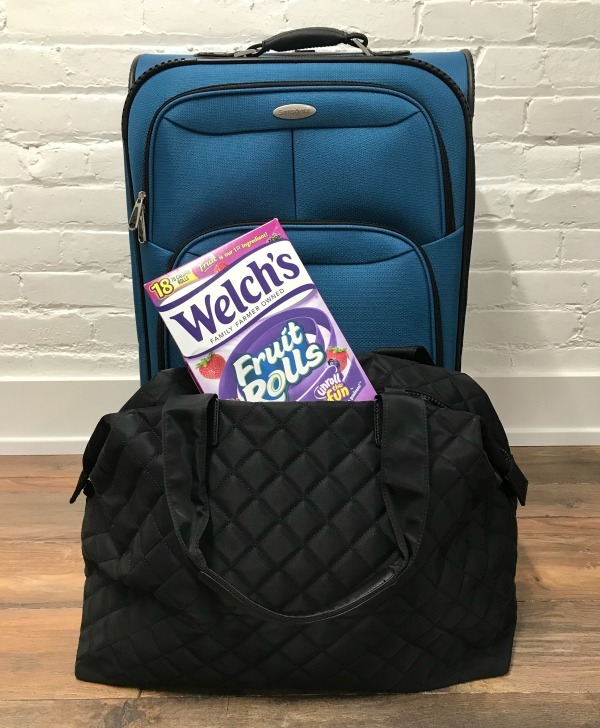 Some may opt not to stray too far from home for this exact reason, but today I’m teaming up with Welch’s® Fruit Rolls to share my best tips and tricks to make traveling with a picky eater easier on the whole family. I will never forget when my husband and I decided to embark on our first family vacation with our daughter. I’d already flown to visit my parents with her a handful of times, so the travel part of our little getaway didn’t worry me, but since my daughter’s diet only consisted of about 10 foods at the time, I was worried the trip would be a disaster. My mom kept telling me I was silly to worry – ‘she’ll eat when she’s hungry!’ – but I knew my daughter well enough to know that unless I had a plan in place, she would dig her heels in and orchestrate a hunger strike the entire time we were away, which wouldn’t be fun for any of us. And since I wanted her first official vacation to be a positive one in hopes we could start traveling more frequently, I was motivated to make it work. My daughter is now 7-years-old and has developed food intolerances that make dining out even trickier than they were when she was a fussy toddler, but despite those setbacks, she absolutely LOVES to travel and we vacation as a family at least 2 times a year. Here are my best tips for traveling with a picky eater! PLAN AHEAD. Traveling with a picky eater is so much easier when you invest a little time upfront to ensure special accommodations can be made. Can you book a hotel or AirBnb with a kitchen? Are there grocery stores close to your hotel where you can purchase non-perishable items your child will eat? If you’re staying at an all-inclusive resort, call the hotel and ask if the chef can work within the parameters of your child’s picky eating. Can they make PB&J or grilled cheese sandwiches? Is plain pasta, a fresh fruit plate, oatmeal, crackers and cheese, pizza, and/or hot dogs an option? Be specific and remember that most hotels are more than happy to help if you’re polite and explain the situation to them. The more investigating you do ahead of time, the more you can prepare yourself (and your child) before you leave home. LOOSEN UP ON RULES. Most parents have certain rules they like to follow around mealtimes, even when their kids are picky eaters. They may require that their child eat one vegetable at each meal, or limit certain snacks throughout the day, and while these are all very important rules in helping to ensure our children consume a varied and nutritious diet, don’t be afraid to let some of your rules slide while on vacation. Traveling with a picky eater is stressful enough, and unless your child’s doctor advises otherwise, the world probably won’t end if your child doesn’t eat a lot of vegetables for a week. As long as he or she’s eating, healthy, and happy, try not to obsess over the basic food groups and enjoy yourself. You can (and will) fix things when you return home. PACK SNACKS. Once you have an idea of the things you will and will not be able to purchase at your destination, get in touch with the airline you’ll be traveling with to confirm which food items you can safely pack in your suitcase and then load up on the things you won’t have access to while you’re away from home. Welch’s Fruit Rolls, granola bars, nuts and seeds, and dry cereals are all great options as they are delicious, non-perishable, and filling! GET YOUR CHILD INVOLVED. If you will be traveling somewhere remote and won’t have access to your child’s favorite foods, prepare your child ahead of time and get him or her involved. Explain the situation and work together to come up with meal ideas he or she feels comfortable eating so he or she feels in control. Again, checking with your hotel to confirm what accommodations can be made will be helpful in ensuring your plans are realistic. Write out food menus and practice making a few dishes together pre-travel so your child has time to warm up to the things he or she will eat while on vacation. KEEP SNACKS HANDY. While some will argue that a starving child will eventually eat, I have always found that trying to get my child to eat something she’s not fond of when she’s beyond hungry is a recipe for disaster. Instead, I always keep snacks in my purse and in the car to ensure she’s not HANGRY when we sit down to eat as a family. BRING PROPS. If you’ll be eating in restaurants while traveling, consider creating a special bag of toys your child can play with at the table, and only allow her access to these items while dining. Another option to consider is loading a few TV shows and games onto your tablet or smartphone and allowing screen time during meals. Is this ideal? NO! But if it’ll keep your child happy and make mealtimes less stressful (and distract her enough to try a few foods she normally won’t eat), then I say go for it! BE CREATIVE. When we travel, I like to bring snack boxes, fun eating utensils, and food cutters and stamps with us. We tend to opt for hotels that have some sort of kitchen facilities in the room, and I find serving picnic-style meals with lots of different options for my daughter goes a LONG way in making meals more manageable, particularly since she is on a gluten-free diet and cannot eat a lot of easy-to-make things like sandwiches and pasta. I always include several foods she loves and throw in a few other items I’d like her to eat, and I try to present them in a fun way to make her more motivated to try them. 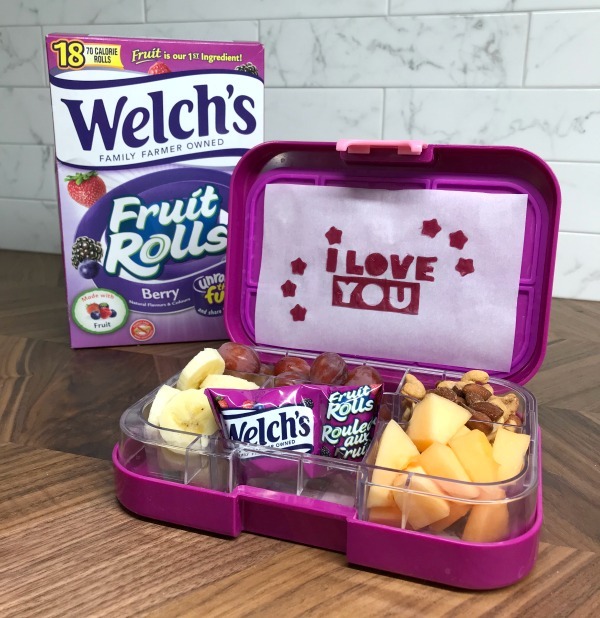 She particularly loves our letter stamp set as I can spell out fun words with Welch’s Fruit Rolls, and it helps me get her involved in meal preparations so she feels more in control. 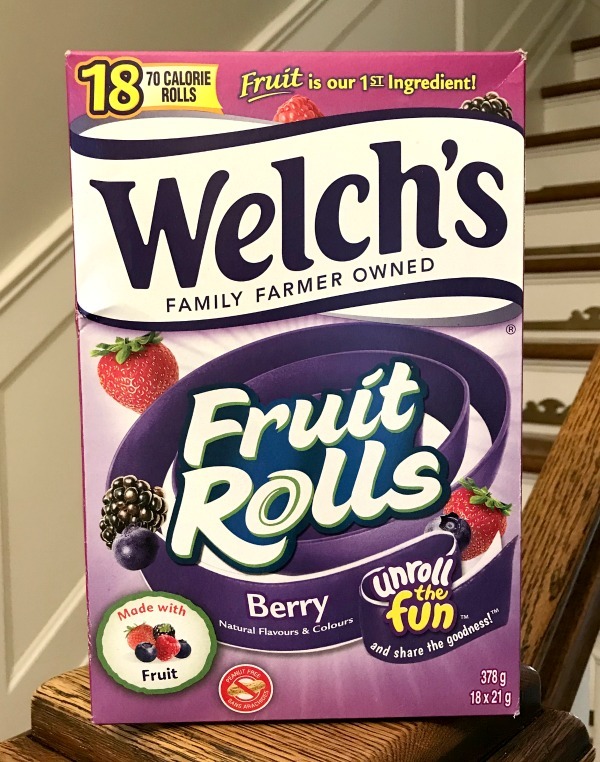 As you can see, we’re on a bit of a Welch’s Fruit Rolls kick these days, and it’s not just my daughter who thinks they are delicious. The entire family loves them, and they are my go-to snack for school lunches, extracurricular activities, and family vacations. Fruit is the first ingredient in these easy-to-pack snacks and they’re gluten-free (hooray! ), and I love that I can put my creativity to the test and create fun meals for my daughter both at home and while we’re on the go! They also have 100% daily value of Vitamin C and 25% daily value of Vitamins A and E. You can purchase them at your local Walmart! 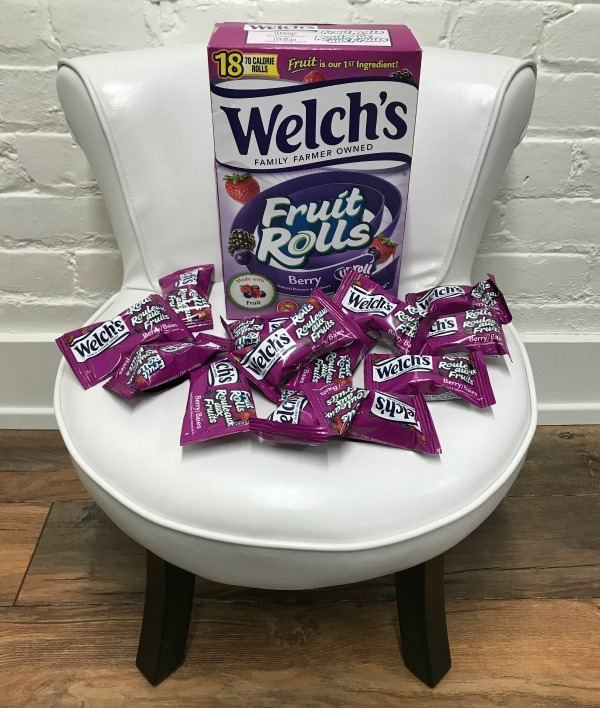 ‘Unroll the Fun’ when you save on Welch’s Fruit Rolls HERE! 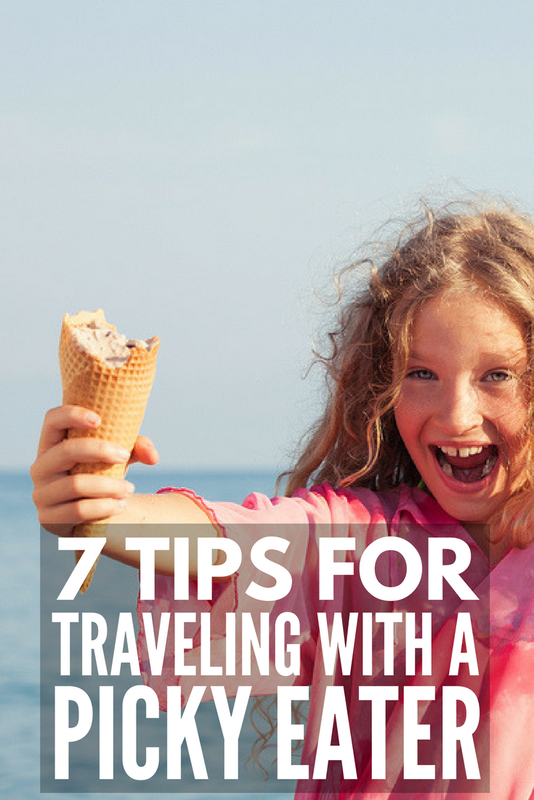 Traveling with a picky eater can be challenging, but planning ahead, getting your child involved, bending the rules, and keeping things light and fun can go a long way in ensuring your family vacation is a success. If you found these tips for traveling with a picky eater helpful, please share this post on Pinterest! And if you’re looking for more parenting tips and tricks, please follow our Parenting board where we share all kinds of fabulous advice each day!